One can dedicate the whole book to the question: why does the wine have something to do with luck for you? Wine means almost everything for me. It is work in the nature, seasons, plants, the whole value chain till the moment, when people get together at the table and raise their glasses. It is time flow, fusion of giving and taking, processes; whether in the vineyard, in the vinery or in the winehouse when you tell your story to the customer. A cycle of four seasons, of centuries and generations. This distingueshes our handicraft from the others. "Interview - Victoria Garten about Wine, Expectations and Luck" for "DirectDyk News Agency"
Legend has it that the olive trees originate from the seedlings that Vicente, a poor day labourer from Pollenca, cultivated from the olive stones during the great drought after having pressed the oil to heal his sick wife and daugther from skin eruption. 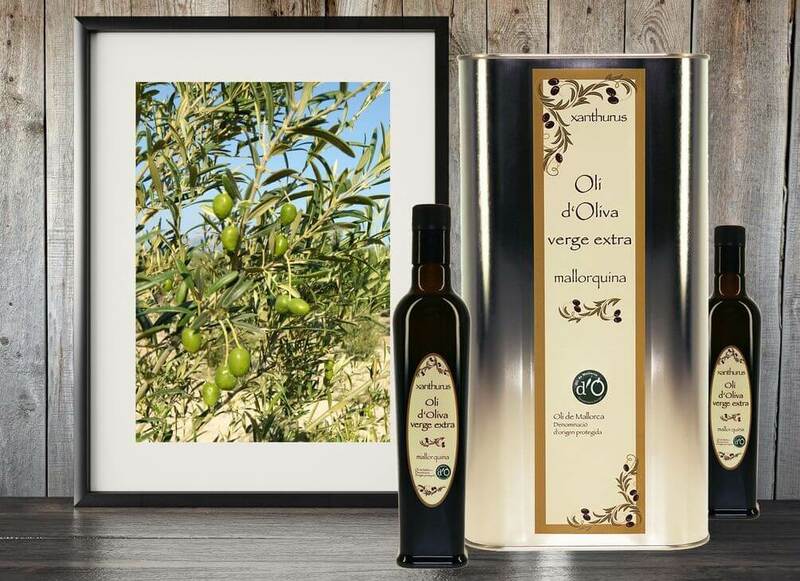 As legend also has it, Vicente had a visitation by the Holy Virgin in the Ermita de Nostra Senyora at the Puig de Maria and she showed him the way to the ripe, especially flavourful olives that saved his family. It is said that even nowadays this miraculous oil possesses curative power if not for the skin then at least for your dishes.